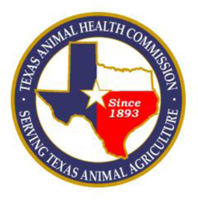 (Austin, Texas - May 19, 2011) - Texas Animal Health Commission (TAHC) officials are continuing to trace exposed horses that attended the National Cutting Horse Association (NCHA) Western National Championships event that ended on May 8 in Ogden, Utah. There are currently 26 known horses in Texas that attended the event. Those 26 horses and a total of 323 more cohorts (stablemates) of the 26 are currently being held under movement restrictions across the state. Texas has currently only detected one confirmed case. That horse sought treatment at a veterinary clinic in far West Texas and has subsequently returned to New Mexico where it originated. A second horse located in Jack County has been classified as “suspect” and is pending further diagnostic testing. The TAHC is following the U.S.D.A. guidelines for clinical and suspect cases which have very specific criteria to meet the case definition, and for now suspect and confirmed cases will be the two types of cases reported. The epidemiological investigation of all 300+ plus horses that reportedly attended the event continues nationwide, and the number of Texas horses identified as exposed may increase in the following days. Although mandatory cancellation of future events is not anticipated, the TAHC suggests that horse owners consider the risk of participating in upcoming events scheduled for this weekend and/or co-mingling their horses with other horses and equipment (trailers) of unknown history. Because the incubation period is usually about 4-6 days or less, even a one week voluntary stop movement may be enough to nip the cycle of transmission between horses before it grows in scope. Horse owners should contact event organizers in advance to ensure that scheduled events have not been cancelled. Some other states have established emergency rules for entry as a result of this situation, so if interstate travel is planned, owners and/or veterinarians writing health certificates should check in advance to ensure they meet all entry requirements. Finally, it is recommended that all newly purchased horses or introduced horses to a premise should be isolated to help prevent the accidental introduction of EHV-1 (and other diseases) onto the premise. For the latest and most current information, visit www.tahc.state.tx.us and/or www.facebook.com/TexasAHC or www.twitter.com/TAHC.